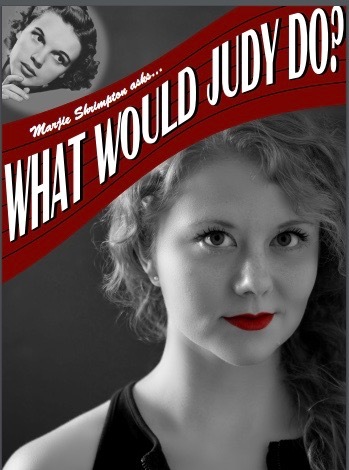 When singer, actor, dancer and Grand Rapids native Marjie Shrimpton asks “What would Judy do?” the answer is right in front of you. She would give you an amazing evening of entertainment, weaving stories and songs from Judy’s life and her own, chasing your cares away just as Judy did for so many years. On Saturday, September 29, the incredibly talented daughter of Reif Arts Council board member, Glenna Olson and longtime Grand Rapids choir director Scott Shrimpton is presenting the same cabaret show at The Reif that sold out The Duplex Cabaret Theatre in New York City earlier this year. In Grand Rapids, Marjie will be accompanied by local standouts Susan Hoolihan on piano and Butch Schmidt on bass. Since leaving Grand Rapids to attend Barnard College at Columbia University, Marjie has traveled, worked and studied in locations as varied as Senegal, New Zealand, India and Paris. In addition to performing, Marjie is the Communications Coordinator for the Manhattan-based law firm Reavis, Page, Jump LLP and a teaching artist with Artists Striving to End Poverty (ASTEP). Special thanks to show sponsors Dental Offices of Jeffrey N. Bolz, DDS and James F. Johnson, DDS.